Generally, a public-private partnership (P3) could be described as a contractual agreement to share the risk and reward on a mutually agreed objective, in exchange for the private sector’s provision of services and investment in assets (public infrastructure) traditionally provided by the public sector. Unlike the traditional government financing approach, the private sector in P3 assumes greater responsibilities in the planning, design, finance, construction, operation and the maintenance of infrastructure projects. Globally, governments and policy makers have adopted P3 as an innovative strategy to fix funding gaps and revamp dilapidated public infrastructure. P3 provides the public sector or government agency with the opportunity to share and or transfer the risks to the private sector for efficient and effective operation and maintenance of public infrastructure. Hence, effective risk analysis and risk management is imperative for the successful implementation of P3 infrastructure projects. This article is focused on the risks associated with the delivery of new highway (greenfield) P3 projects. The mapping of risks throughout the project life cycle is critical for adequate risk analysis, risk allocation and risk mitigation. According to Stefano Gatti, the risks associated with infrastructure projects could be broadly categorized into 3 groups: pre-completion risk, post completion risk and the risks associated with both phases. The pre-completion risks are the risks associated with the planning, design, technology and the construction of the projects. Planning risk refers to the improper scheduling of tasks that could result in the delay and the execution of the project. The design risk is the failure to meet project specification and performance standards, while technology risk arises from the non-performance of the project technology based on expectations. On the other hand, the post-completion risks revolve around the operation, maintenance and revenue generation, based on forecasts, after the assets have been deployed. Operational risk is the risk that the project’s performance could fall short of established performance outcomes during the contract. The market risk is short-fall in demand and use of the project from initial projections with significant impacts on the revenue generation capability of the project. For privately operated tolled highways, shortfall in demand or traffic usage could significantly affect the toll revenue, resulting in the inability to meet financial obligations to lenders and investors. In addition, political risk, environmental risk, regulatory risk, force majeure (natural disasters), macroeconomic and financial risks exist throughout the project lifecycle. In view of the above, effective risk mitigating strategies are imperative for successful execution of P3 projects. The pre-completion risks could be mitigated by a properly executed turnkey construction contract (TCC) with the contractor, i.e. the consortium of company or the engineering firm responsible for the design, project construction and or maintenance. The turnkey construction contract specifies the penalty for project delay, and the damages in the event of the substandard project performance in deviation from the agreed standards. The turnkey construction contract is generally backed by a bank guarantee (bonding) to ensure that counter parties are financially viable to meet their commitments when due. To mitigate post completion risks, payment to contractors and private operators could be based on performance and service availability. Appropriate penalties could be charged on private operators or contractors where performances drastically fall short of contract expectation. In extreme occasions, the contract could be revoked if performance is not improved within a certain time frame. Also, long-term leases and concession agreements with non-compete clauses could enhance the overall financial viability of P3 projects. Private operators earn their revenue through toll collection to recoup initial cost and earn a reasonable return on their investments. The contract agreements make provisions for future adjustment in toll rates to enhance the overall project profitability. In rare occasions, government could provide guarantee to the private operators in the event of revenue shortfall from exogenous circumstances. Similarly, financial instruments and derivatives could be used to hedge against adverse movement in currency and interest rates. The revenue and cost could be linked to different inflation rates to minimize the adverse effect of inflation on the project. 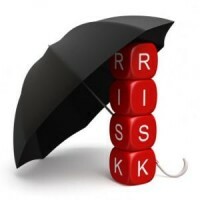 The impact of environmental risk, country risk, construction risk, and other exogenous situations could be minimized with appropriate insurance policies. Also, sound public policy and public education could enhance public acceptability for the successful implementation of P3 agreements. In conclusion, P3 have significant benefits as well as enormous risks. The successful implementation of P3 initiatives would be dependent on the effectiveness of the risk analysis and risk management strategies put in place by all the stakeholders. Author: Michael Oyakojo is an economist, chartered accountant, policy analyst and finance professional with cognate experience in private and public sectors on three continents. He can be reached at: [email protected]. Above question is very tough … he he ..